All the team of Hotel Astoria and Britannia Pub wish you a warm welcome on our website. 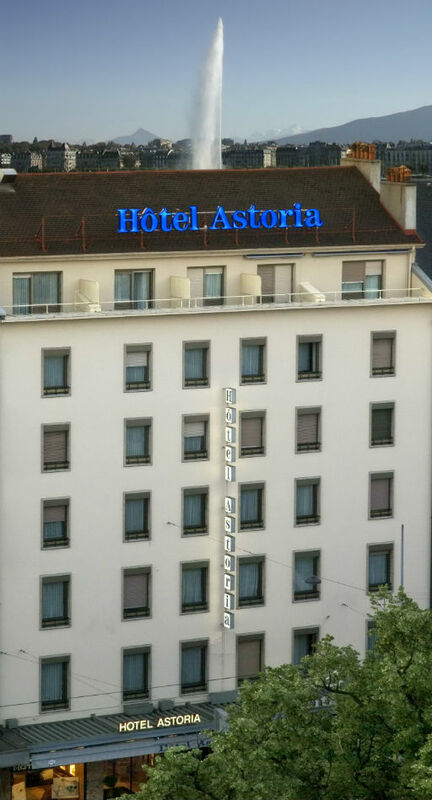 The Hotel Astoria is ideally located in the heart of the city of Geneva, opposite the main railway station “Cornavin” and the main public transport lines. A few steps from Geneva lake, Geneva’s fountain, flower clock, old town and the business districts. Hotel Astoria is close to the UN offices,international organizations,and the Palexpo Conference Centre. The Geneva Cointrin International Airport is only 6 minutes by train from Central Station. The proximity of public transport lines will facilitate your travels. In addition, when you arrive at hotel, we are pleased to offer you a free access to all public transport in Geneva. Taxis are also available. Discover a hotel full of charm and comfort!